There is nothing like a nice coat of paint to make a room, a house or any space come alive -- but a paint job is only as good as the Chicago interior painting contractors doing it! 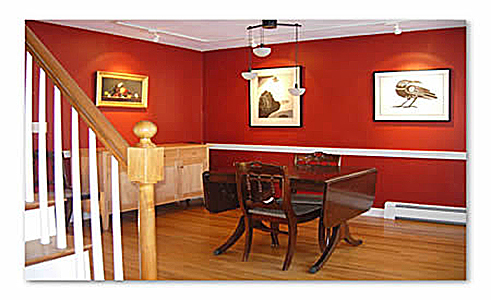 Our interior paint jobs are rated high by Chicago homeowners who have given us great recommendations. We do all kinds of paint jobs from small apartments to large luxury houses. Let us at Peralta Painters become your Chicago interior paint specialist with our proven professionalism and experience, We can show you how to transform your biggest investment, your home, into a work of art that you and your friends may enjoy for a lifetime. How to properly prepare the surface. Which paints to use in each situation.